Hopefully this winter you’ve been enjoying one of the newest ways to enjoy the outdoors and biking. With the latest craze in big wheels, you can ride on our many miles of groomed trails at Turpin Meadow Ranch or in the surrounding Tetons area. Especially if you are going off into backcountry, here is the last in a series of tips we hope will be helpful when riding this winter. 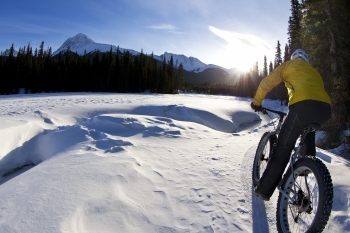 A fat bike can be an incredible way to travel the backcountry during winter, if used properly and in the right conditions. When the earth is frozen and has a minimal layer of snow (1 – 5 inches), riders can access areas that are impassible during warmer months. But in addition to previous tips, be sure to adhere to these best practices, which can mean life or death in backcountry winter travel. Learn about the areas you plan on riding before departing. This will help understand conditions to anticipate, including departure and arrival times, as well as the following issues. Do not trespass. Know whether you are on private property. Obey all land manager rules. Some trails are closed to bikes. Anticipate and plan on changing conditions, such as new snowfall, or warming temperatures, which can make the return trip much more difficult. You might find your tracks or trail have been covered, or snow or ice have become slushy, which can have impacts from speed to stability, or make riding impossible. Be aware of anticipated weather conditions. Please don’t forget safety equipment, such as a GPS device, avalanche beacon, compass, extra warm clothing, emergency blanket, folding shovel, etc. Although wildlife is more plentiful and can be easier to spot during winter, on a bike you have additional issues with which to contend. At a higher rate of speed and a relatively quiet conveyance, with less visibility for the natural trails under your tires, you may inadvertently catch wildlife off guard in their winter habitat. Be aware of the area in which you are riding; watch for animal trails and spots which seem to indicate burrows or activity. Do not ride through wildlife habitats or areas of activity. 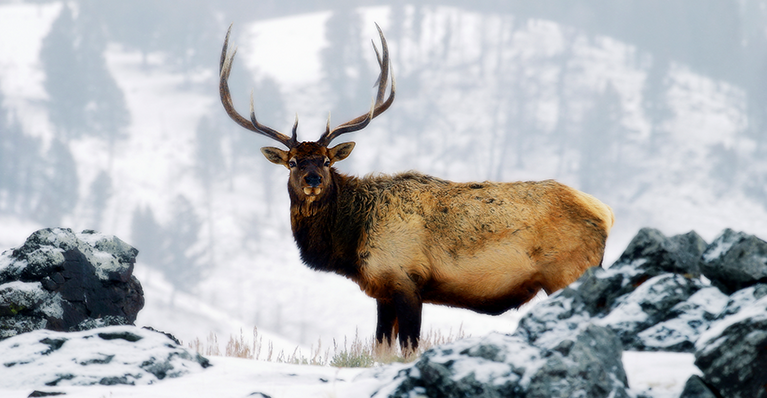 This is especially important in the Tetons where wildlife is hibernating or seeking critical sustenance. When spotted, please do not disturb wildlife. Additional stress can more quickly deplete scarce winter energy resources. Before you head out, we recommend leaving your backcountry travel plan with our front desk staff. This should include the area you’re planning on visiting, the time you left and your anticipated return time window.